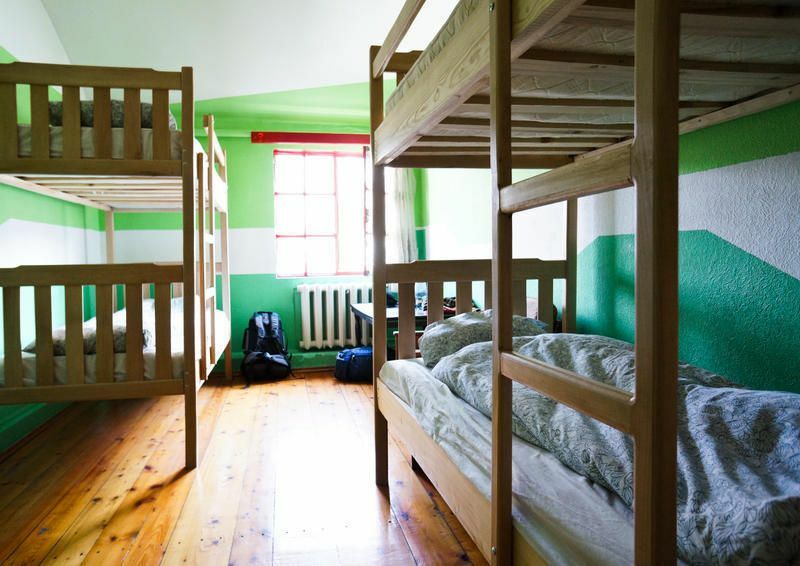 The most popular and unique hostel in the heart of town! Fall in love with Tbilisi in this funky and friendly spot run by experienced travellers.This Hostel is run by a group of friends, people from different countries, all travellers in Love with Georgia. And when you stay with us, we make sure that you experience all the best things that you can see and do in this part of the world, just like another friend.We invite you to a place to stay which is comfortable, relaxing and in the best location. Warm in the winter (two fireplaces!) and cool in the summer (high and spacious rooms, terrace and ventilation in every room), and with a funky alive vibe in a real Old Tbilisi historical location. Clean, safe and run with a passion the place really to experience Tbilisi.We know from experience what travellers need, so we offer all of it:− comfy beds with new mattresses (linen and towels included in the price)− breakfast for a good start included in the price− a location 3 minutes from Rustaveli Boulevard and 7 minutes from the Old Town− internet and computer access− beautifully decorated and large rest areas (2 common rooms, terrace, balcony)− 4 showers on site so no need to wait in line− common kitchen where something nice is always cooking− free tea and coffee all day and in great company− free laundry and drying all day− full travel info including alpinist advice, hiking and horse riding routes,recommendations on accommodation in all the best known places and all the hidden marvels of the region− unique urban experiences in Tbilisi original unknown Tbilisi free walkingtour, recommendations for all kinds of fun activities in and around the city rafting, paragliding, bungee jumping, waterfall canyoning and of course the best restaurants, bars & clubs− loads of in-hostel events: BBQ's, film screenings, cooking nights, game nights− a great international atmosphere where you get the best of the local experiencewhile sharing your stay with travellers from all overStay with us and let us show you why we are in love with Georgia and the Caucasus.Have fun, rest and meet other people who know how to have enjoy travelling to the fullest.We speak English, Russian, Polish, German and Spanish. We provide help with visas and travel practicalities. 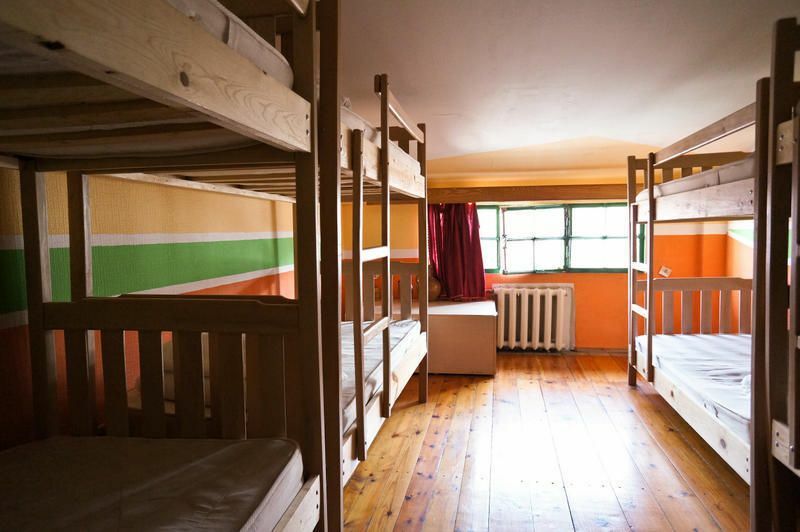 Our hostel has no lock-out or curfew. Why Not? Tbilisi - Legend Hostel is LGBT friendly. Whatever it is you are looking for we can help you find it. Why Not? It's REALLY easy to find, but we give you as many details as we can to make it even easier! CHECK OUT THE MAP IN THE PHOTO SECTIONWe are right off Rustaveli Avenue, by the April 9th Park, close to Tbilisi Marriott hotel. 15/4 TABUKASHVILI STREET, TBILISIWhen you are on Rustaveli avenue (we are closer to the Tavisuplebis Moedani Metro), across the street from the Parliment (use the underpass to cross) there is a church, and the April 9th Park. Right past the park (walking away from Freedom Square with the golden collumn), you will see the Tbilisi Marriott on the corner. Turn right, walk down the street and at the first intersection, you will get to Tabukashvili street. Turn left, and on the right hand side you will see our hostel at number 15, in the small alley. FROM AIRPORT:BUSDuring the day from 7 am till 11 pm there is a direct bus, number 37 (to take it you need 50 Tetri - half of 1 Lari - you may change small amount of money to local currency at the airport), when you will cross the river pay attention to the square with huge column with golden guy on a horse (Tavisupebis Moedani - Freedom Square), you are almost here! Just one stop after the column across the street from the Parliament and that is your bus stop (on Rustaveli avenue). After leaving the bus keep on going in the same direction (Parliament on the left, Church on right) till the first street going right (50 meters)- take it (on the corner you see the Tbilisi Marriott Hotel) and go down by this street till the first crossing (you will see cafe with strange kind of "red tower") go left and after 30 meters turn right - on your left you will see our hostel - take the gate, and the stairs, ring a bell and wait for warm welcome!BY TAXI:If you are not that lucky, and landing in Georgia when the bus is not operating you need to take a taxi - let us know and we can arrange it for you - anyway it should cost not more than 30 Lari FROM TRAIN STATION:There is one more possibility - taking the train from airport to main train station (also 50 Tetri) - it starts from airport at : 6:10 am, 8:30 am, 13:50, 18:05 and it takes 30 minutes - but we are located in old town so you need to take metro to Freedom Square (Tavisuplebis Moedani) - 3 stops from Main Train station. Then follow th einstructions as above.